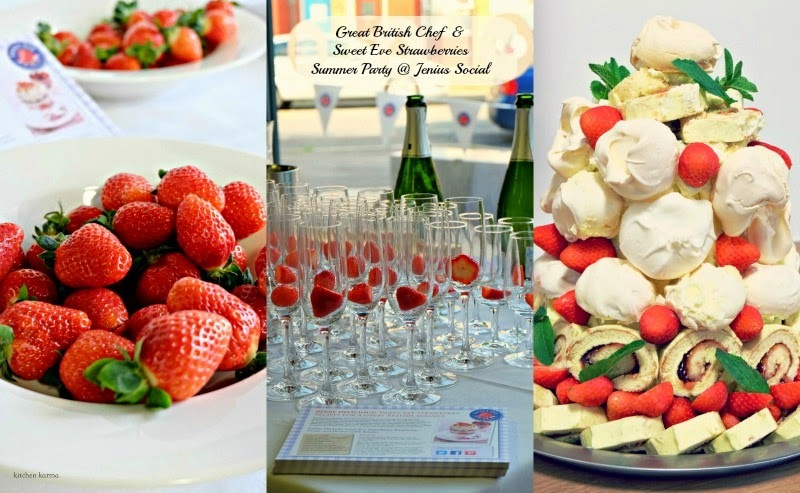 I first went to Jenius Social to attend a summer street party organised by Great British Chef & Sweet Eve Strawberries. It was a fabulous party with the Sweet Eve Strawberries being the star of the show. We feasted on strawberries, drank bubbly with strawberries, ate strawberry desserts, was basically strawberry stuffed. But since I love strawberries [who doesn't?] it was a fun evening for me. Sweet Eve Strawberries are really something, sweet and juicy, full of flavour, one of the very best that I have had in the UK. They are hundred percent British strawberries, cultivated to thrive specially in UK's weather. While at the party I got talking to Jennifer who owns Jenius Social. At that time the venue was just 3 weeks old. She explained to me that she wanted Jenius to be a one stop foodie destination. Jenius has been designed to host parties, cookery courses & masterclasses, super clubs, food photography sessions and even as a dating venue.The main reception room is big and airy and has a lot of natural light steaming in. All the furniture has been designed to be easily moved around or stored away when not needed. The cooking demonstration area is spread out and is connected to a storage and cleaning area at the back. 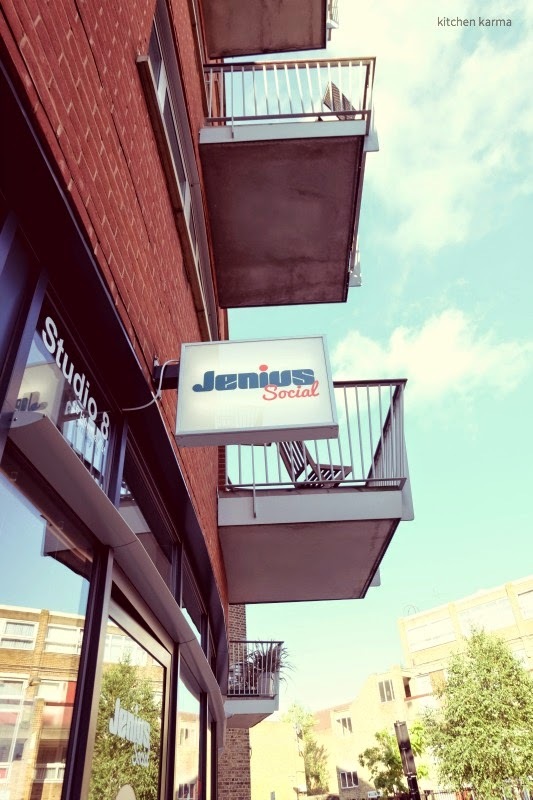 Location wise Jenius is very conveniently located. It is about 20 minutes away from King's Cross by bus and just a stone's throw away from the Holloway Road Underground station which is on the Piccadilly Line. When I recieved an invitation from Jenius for a World Cup themed Brazilian Masterclass I jumped at the chance. For starters I really wanted to go back to Jenius and explore the venue more, and also I have never had Brazilian food before, let alone cook it. The masterclass was fun in a hardworking sort of way. Chef Malcolm while introducing the course said that it was a hands on class and that is exactly what it turned out to be. Some of the basic prep was already done, but most of the food we cooked right there. In my opinion a very good way to learn. With the Chef's guidance we cooked up a Brazilian street food feast- Empadinhas, similar to the ever popular Empanadas, after shaping small pastry cases, we filled them with a cheese stuffing, brushed with egg yolks and then baked them; Malagueta prawn skewers with pineapple chunks; chicken skewers marinated with garlic and lime; Cassava picanha/deep fried cassava chips with a zingy mayonnaise dip; Bacalhau or fishcakes and a quinoa salad with mango and avocado which was the only non street food addition to the menu. Since it was a small group of 6 to 8 people we all got together to do a lot of chopping, mixing, shaping and deep frying. The class went on for about 2 hours, after which the party started. Caipirnha, Brazil's national cocktail flowed as we chatted and started eating. 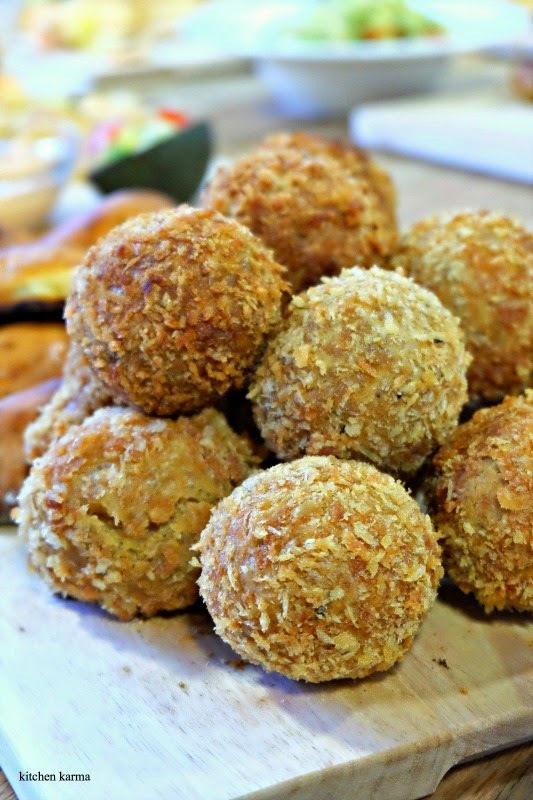 There is an immense satisfaction in eating the food you have helped create. 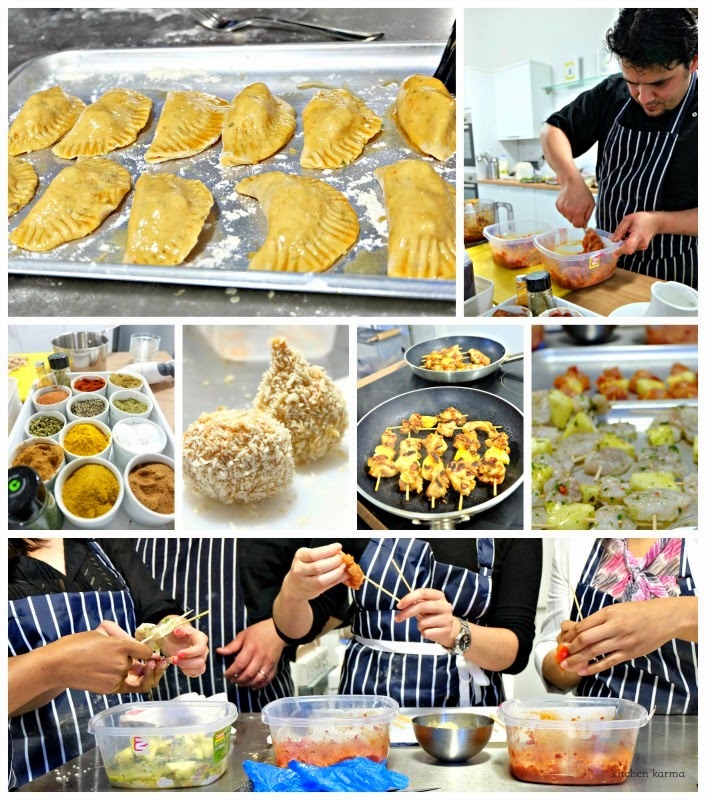 The kitchen scene--Brazilian street foods being prepared by us during the masterclass at Jenius Social! The table heaving with all the food we had prepared! If you are interested in hands on cooking classes, Jenius Social organises them on a regular basis, do check their website. 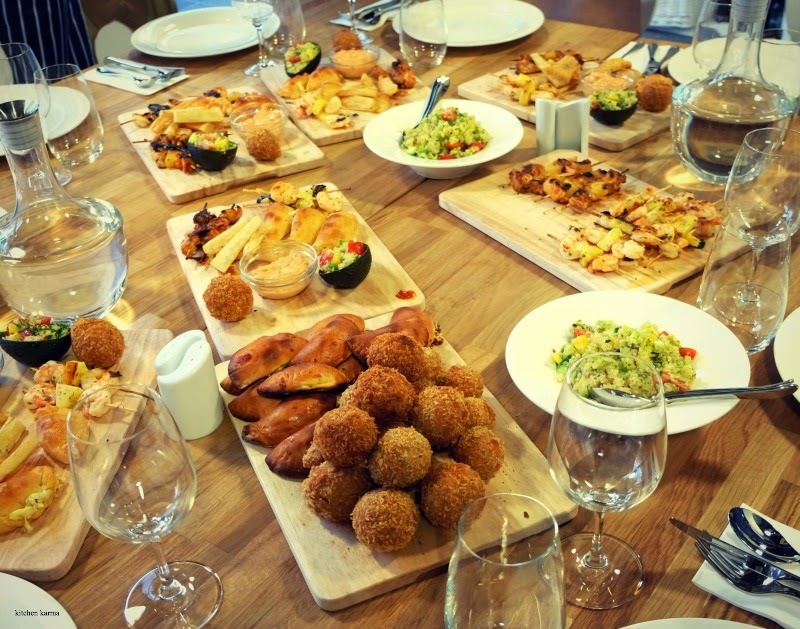 Or if you want to get introduced to a new cuisine, a masterclass is a great way to go about it. Like I had no clue about Brazilian food before I participated in this masterclass. But the Chef explained the key ingredients, the cooking styles, how things are cooked and eaten, the popular Brasilian eating culture and that made a lot of difference. I don't think any restaurant, however excellent, could have made it so much interesting for me. Now I know exactly what to order when I visit a Brazilian restaurant. I was invited by Jenius Social to attend the Brazilian masterclass. No monetary compensation was paid for this post, the opinions shared are entirely my own.